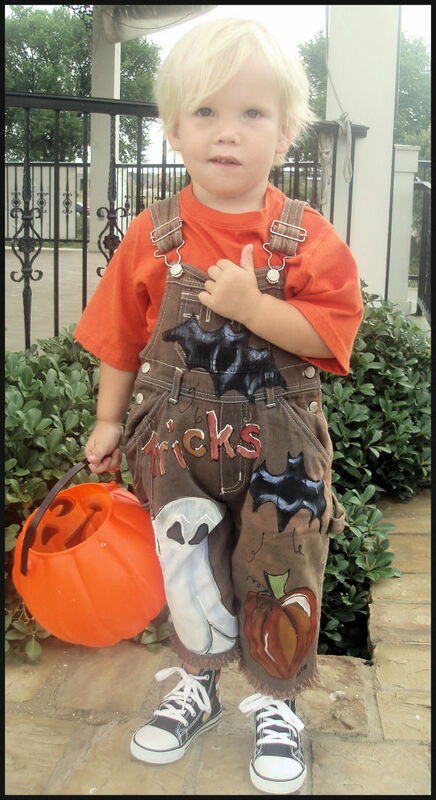 Catalog > Custom Painted Overalls for Boys--Halloween! 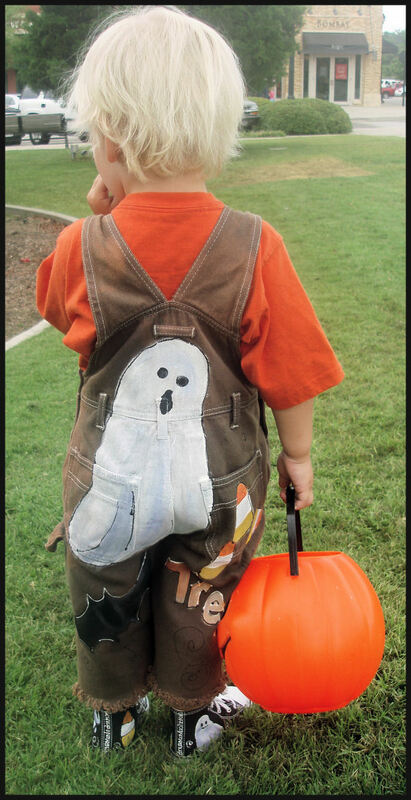 What a sweet pair of overalls for your little guy on Halloween, or for Halloween parties. 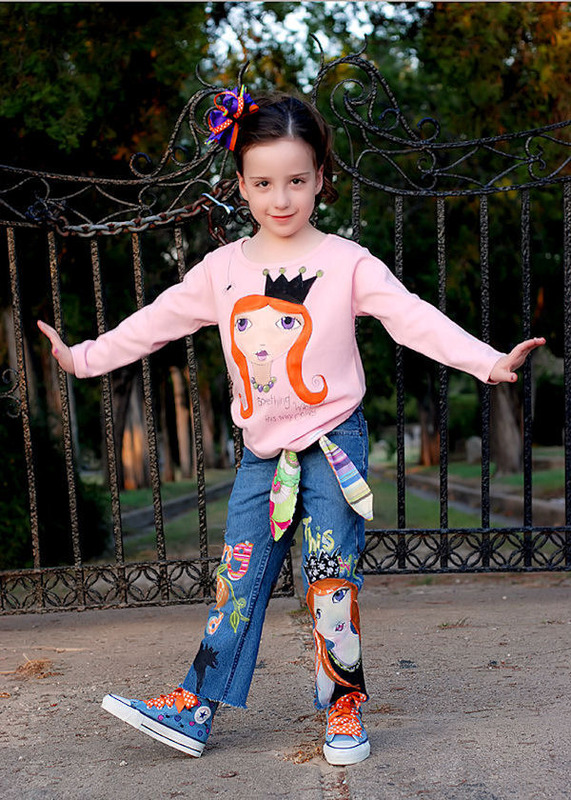 Hand painted custom overalls that have been cropped, faded, then over dyed with a warm brown dye, and then the painted design is applied. What a great addition to a holiday wardrobe! !